Marvel at the magnificent and wide array of species here at Rondeau. Come and enjoy a relaxing break with your friends & family. Ready to ride? Safe and serious adventures await! Explore Rondeau's unique habitats by taking stroll down one of our trails. Join us to learn about Rondeau’s beautiful Flora and Fauna. Come camping at Rondeau for a great family vacation, a fun weekend out, or a group retreat. 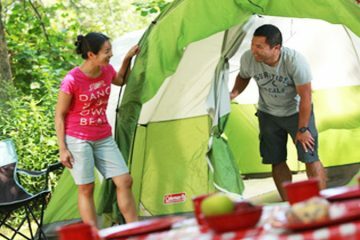 With over 262 campsites within the beautiful, and rare, Oak Savannah ecosystem, you will not only leave with great memories with your friends and family but also with an increased connection with the many Carolinian species that call Rondeau their home. 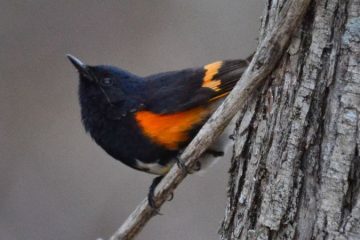 Throughout the spring, thousands of dedicated birders flock to Rondeau to witness the journey of spring migrants as they pass through our peninsula. From unexpected daily oddities to seasonal returnees, birding in Rondeau will exceed your expectations. 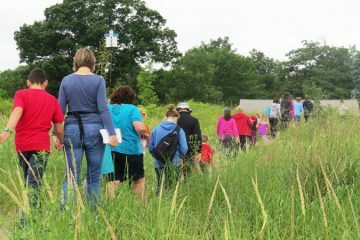 Join Rondeau’s knowledgeable and passionate Naturalists as they explore the dynamic and exciting world of the park’s natural and cultural heritage. From guided hikes and children’s programs to monthly festivals, there’s always something happening to spark your interest and love of the outdoors.